Stephanie and Brian Ladwig-Cooper co-own Gaia Creations. We began our family business in 2000 and more than 18 years later we remain committed to our ecological design and implementation methods. We are licensed C-27 landscape contractors and hold both permaculture design and greywater installation certificates. We began our business based on the need for ecologically minded land care services in our local bioregion. When we started in 2000 there wasn't a single landscape company in the entire county area that was chemical-free and ecologically sound. Thankfully, there are more and more eco-minded landscape businesses every year. Both Stephanie and Brian earned their Permaculture Design certificates from Practical Permaculture Research Institute in N. California and have coordinated and taught many other permaculture courses since then. In 2015 Brian earned a certificate from Greywater Action as a greywater installer . We helped start the Chico Permaculture Guild in 2009 and co-founded the local nonprofit, Earthshed Solutions, in 2015. As part of our Fair Share, we volunteer our time on the Board of Directors of Earthshed Solutions and serve on various committees to help promote regenerative living in our local community. In 2000 Brian and his wife, Stephanie, started Gaia Creations which they continue to operate successfully today. Brian earned his associates degree in Landscaping & Horticulture in 1999 at Butte Community College and has been professionally working in the landscape industry since that time. Brian holds a C-27 contractors license in good standing with the CSLB. He earned a Permaculture Design Certificate (PDC) in 2010 and a greywater installers certificate from Greywater Action in 2015. Brian is co-founder, Vice President and Fundraising Director for Earthshed Solutions. He is also the Seed Ball Project leader, a fundraising project for Earthshed. 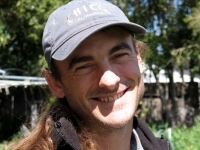 Brian helped start the Chico Permaculture Guild (CPG) in the fall of 2009 and is active volunteer to this day. Brian and his family live on 5 acres in North Chico where they are developing their homestead and permaculture demonstration site, Frog & Toad Farm. Stephanie studied botany, horticulture, natural resources and environmental science in college before she and her husband, Brian, settled down in 2000 to raise a family and start Gaia Creations. 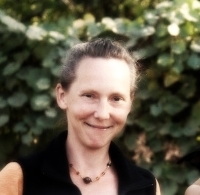 Stephanie earned a Permaculture Design Certificate (PDC) in 2009 and has helped co-teach several PDC courses and has taught and taken many advanced permaculture courses since that time. Stephanie is co-founder and President of Earthshed Solutions as well as the Programs Director. Stephanie helped start the Chico Permaculture Guild (CPG) in 2009 and the Chico Seed Lending Library (CSLL) in 2013 and is a main organizer for both today. Since 2010 she has co-organized Chico’s annual seed swaps. Stephanie and her family live on 5 acres in North Chico where they are establishing their homestead, Frog & Toad Farm, and where she homeschools her two teenage children and runs the day to day business for Gaia Creations. Gaia Creations is proud to partner with Butte County and the City of Chico's Stormwater Pollution Prevention Program, Clean Water Business Partnership (CWBP). Gaia Creations has participated in this program since its inception as the Chico Urban Streams Alliance in 2005. The program has since evolved to the Keep Chico Clean/County Clean Water Business Partners (BCCWBP) program. Keep Chico Clean is the cooperative storm water management education and outreach program for the City of Chico and the Butte County Department of Public Works. Keep Chico Clean programs strive to foster public awareness of Best Management Practices (BMPs) for the prevention of runoff pollution of our local creeks and waterways via gutters and storm drains. Rather than impose more regulations on businesses, the Clean Water Business Partners program provides incentives to local businesses for promoting clean water awareness and implementing Best Management Practices (BMPs). Not only do the participating businesses and customers benefit, but our local environment does as well! Classes and Workshops we have taught or participated in over the years. See Workshops page for current workshops we are teaching.